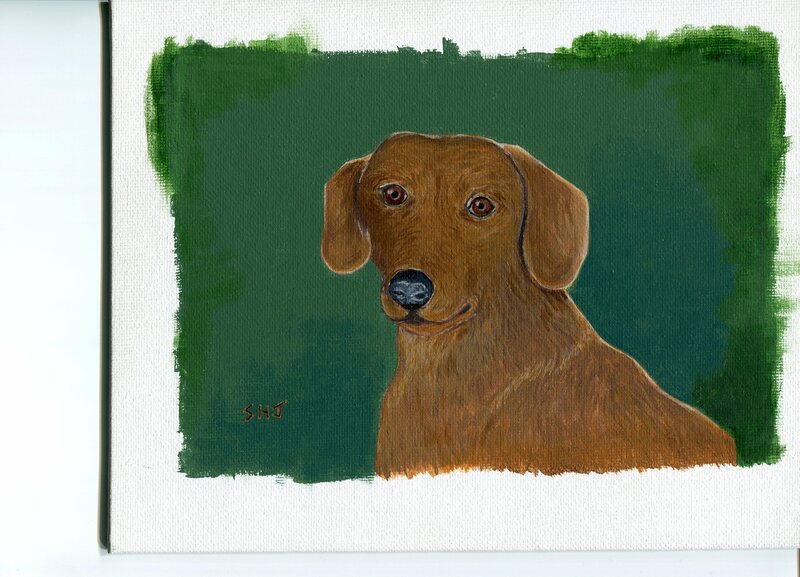 William, “Willy” was my aunts treasured Dachshund, I hope she likes his portrait. Percy holding the “missing” earring! 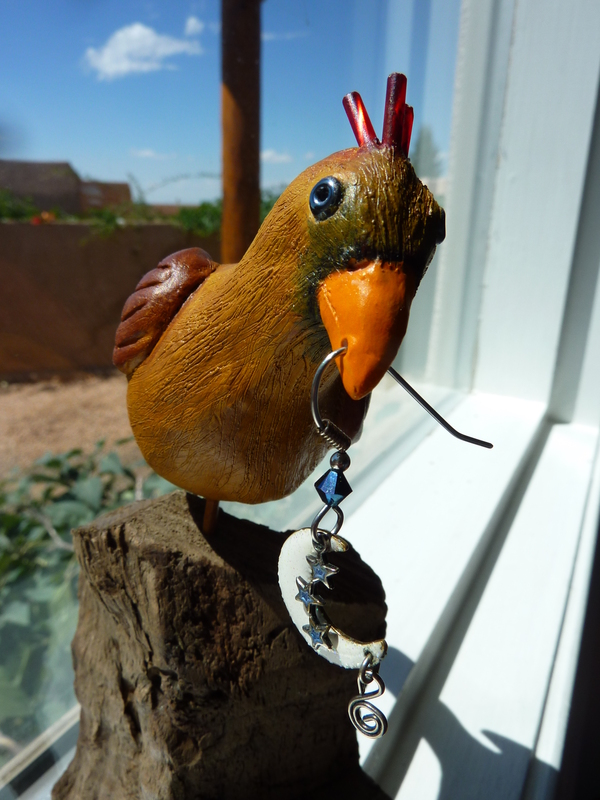 Jan’s birthday present July 2014. For everyone who loves a guinea pig, we know that they have the most pleasingly blunt snouts. My friend Chuck knows this better than most! The title “Luna Cuy” is a play on the term lunacy, I am crazy for my boy pig, the sweetest pig that ever did a jig!! I am also crazy about our beautiful moon! The second painting of our sweet neighbor piggy! A close up detail of my first attempt at multidimensional art. I painted Cuy’s basic image on board, then applied a mylar sheet over top and painted in detail his eyes, fur, and toes. The finished result is quite pleasing, and a technique I will use again in the future.